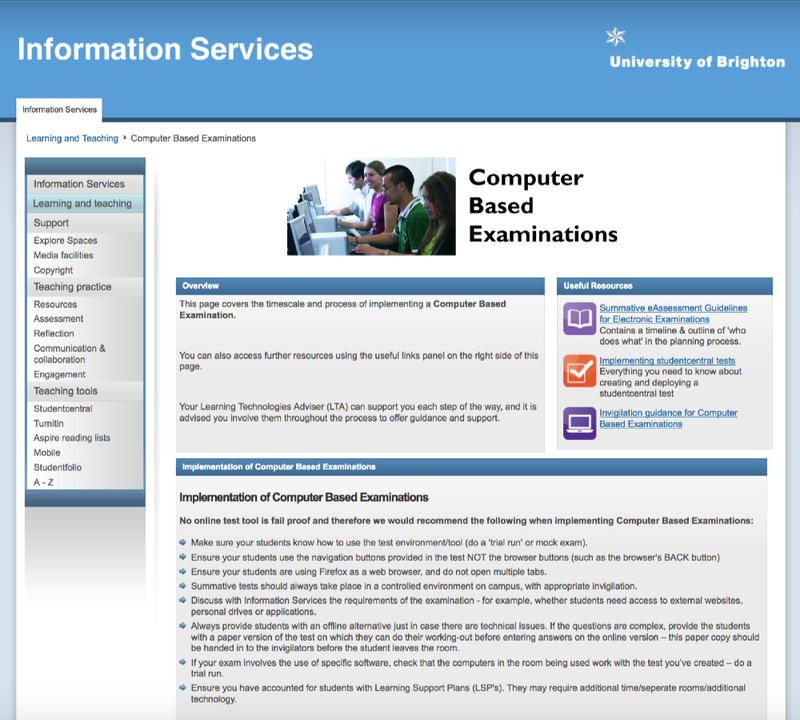 In 2015/16 the eLearning team collaborated with Technical Services to pilot a consistent approach to computer based examinations at the University of Brighton. The initial pilot involved the Eastbourne campus, which regularly hosts computer based examinations involving anything from 20-220 students per sitting. Currently, to meet this need, multiple computer rooms are booked to cater for large cohorts which proves a logistical challenge to both technical staff and invigilators. So the pilot aimed to alleviate some of these issues. There was also a need to boost security of examinations, providing a locked down environment ensuring examinations are completed fairly. Reviewing current solutions within the University for ‘locking down’ PC’s, and suggest a universally agreed solution to roll out to all sites. Create a set of rules (customised for each exam) that ensured only appropriate applications and websites could be accessed. Record screenshots/video of any students who attempted to open prohibited software/websites. During the pilot, schools communicated with technical services and academics to ensure that when a room was booked for examination purposes, technical services received the information they needed to lock down the machines according to the requirements of the academic member of staff. The eLearning team produced guidance for academics on computer based assessment and for specific settings in studentcentral tests. Recommendations were also made for invigilating online examinations, which naturally differs from traditional paper examinations. These changes to workflow were disseminated through the Blended Learning Sub Committee for schools to comment. 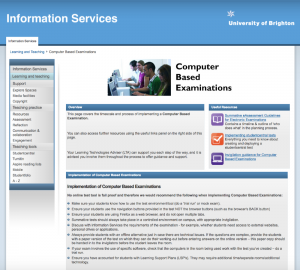 After an successful initial phase using Impero with two large scale computer based assessments in Jan 2016, Impero was used for all online examinations at Eastbourne in Semester 2 (2015/16). Following further success, the plan is now for technical services to install Impero across their open access machines at other campuses, where appropriate, ready for use in 2016/17. Information Services will be continuing their exploration of technologies that will solve the issue of capacity for online examinations. The eLearning team will also be exploring further uses of Impero for teaching & learning.